Ferrari unveiled the Monza SP1 and SP2 models. These two special cars, which were brought to light at the Ferrari plant in Maranello, were inspired by the Ferrari models in the 50s. Ferrari introduced a series of special series concepts, called Icona, at its factory in Maranello. Members of the series Monza SP1 and SP2 are leading the emergence of a brand new class and are set to mark the arena of super sports cars with high-end engineering and high-tech. The series, which will be produced in a limited number, draws attention with its features that will appeal to collectors and private customers. The Ferrari Monza SP1 and SP2 models were inspired by historic cars that won numerous victories in the 50s championships, such as 750 Monza, 860 Monza and 1948 model 166 MM. 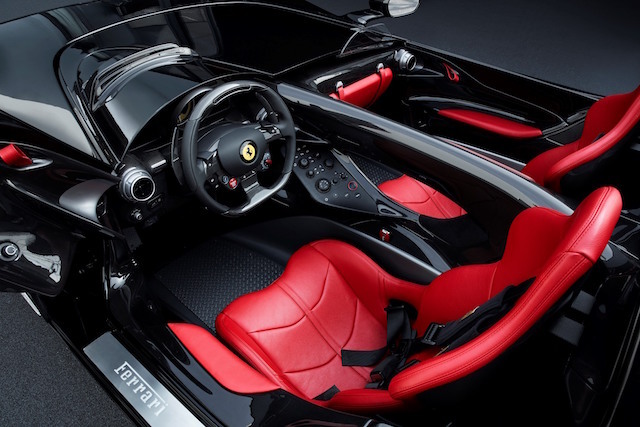 The Ferrari Monza SP1 offers a unique driving experience as a single-seater real racer, while the SP2 model offers the same experience to the passenger with 2 seats. Both cars are equipped with carbon fiber parts, and their design features differ from all Ferrari models. Offering the best power-to-weight ratio in a veril barchetta V model, these cars feature a 6.5-liter V12 engine that produces exactly 810 HP and a torque of 720 Nm. Cars from 0 to 100 km / h in just 2.9 seconds need 7 seconds to reach 0 to 200 km / h. The maximum speed is explained as 300 km / h and above. The cars that promise a pure spider-roadster experience with the removal of the roof and the windshield are equipped with the ider virtual windshield mas function built on a patented air evacuation system to provide excellent aerodynamics. Moreover, the lucky owners of these cars, which offer a real Formula 1 car experience, can buy very stylish racing overalls, helmets, gloves, scarves and driving shoes designed by Lora Piana and Berluti brands.